This is the hottest iPad app currently in the Apple apps store. People and whole cyberspace is going crazy over this iPad app. What is this? This is just a social news app using which you can Twitter and read tweets. 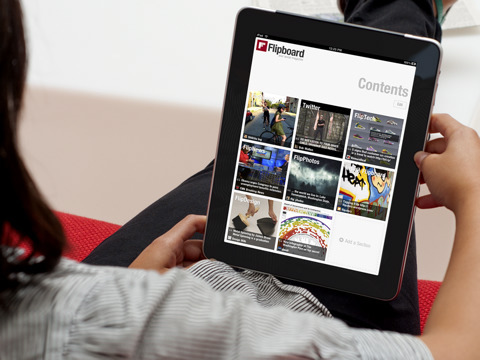 So what’s so special about Flipboard? Yes there are wonderful Twitter clients for multiple platforms like Seesmic and Tweetdeck, there are awesome RSS readers like Google Reader or the most popular ones for iPad like Pulse, but still people who have used this app bet that you haven’t seen any app like this. Touch an article and it zooms to reveal more. Touch a video and it plays inline. Turn your iPad and everything reconfigures from landscape to portrait mode and vice-versa on itself (even photos) and so on. There is so much on this app to write that it needs a through hands-on and we will do it as soon as possible. For now you can grab this app for free from the Apple apps store.